Tallahassee Mayor Andrew Gillum officially withdrew his concession in the Florida governor’s race on Saturday after Florida’s secretary of state ordered a vote recount. “I am replacing my earlier concession with an unapologetic and uncompromised call to count every vote,” Gillum announced on Twitter. 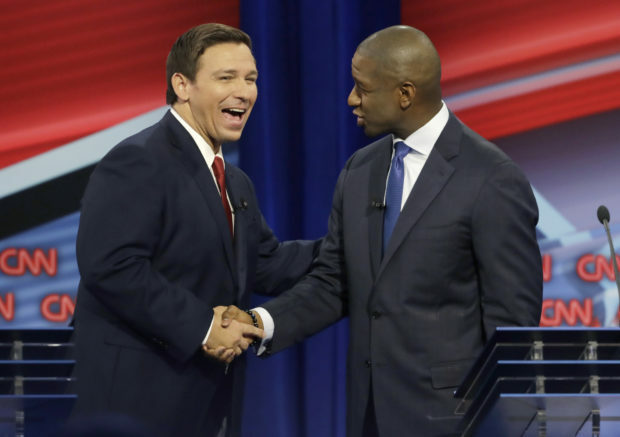 Gillum, a Democrat, conceded Tuesday night after projections showed him losing to former Florida Rep. Ron DeSantis by around one percentage point. But DeSantis’ vote margin narrowed in the following days as absentee and provisional ballots cut in Gillum’s favor. In the Florida Senate race, Gov. Rick Scott, a Republican, leads incumbent Sen. Bill Nelson by 12,562 votes. Gillum signaled on Thursday that he would retract his concession if an automatic recount was ordered. The close election has triggered a legal battle reminiscent of the 2000 Bush-Gore recount. Republicans have accused Palm Beach County Elections Supervisor Susan Bucher and Broward County Elections Supervisor Brenda Snipes of breaking Florida election law in their handling of provisional and absentee ballots. Bucher and Snipes refused to provide details of where they gathered votes that had been added to the final tallies for their respective counties. Scott filed a lawsuit against Snipes on Thursday after she failed to inform the campaigns about votes she had yet to count.